Are you ready for an 80s style Hamburger Party? 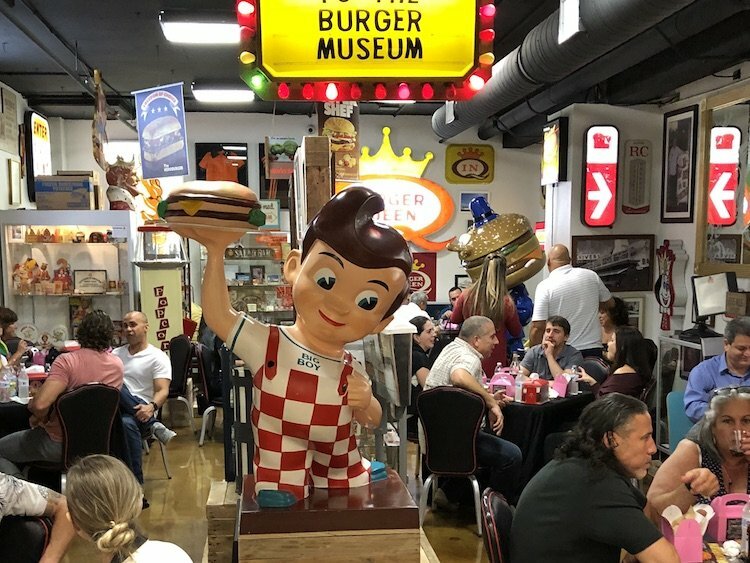 Burger Beast Feasts presents the Hamburger House Party brought to you by Budweiser – Bud & Burgers (the Official Beer of Hamburger House Party), Downstairs Markets, Miami Lakes Auto Mall & Magic City Casino and featuring beef from Sunshine Provisions and Bacon from Babe Froman. 20 of South Florida’s Best Burger Restaurants will be competing for your vote to be crowned the Best in the SFL. This event replaces last year’s sold out Burger Beast Burger Brawl. You’ll also be able to try Magic City Pizza‘s Chicken Alfredo Sliders, Chifles’ Chips, Desserts from HipPOPs handcrafted Gelato Bars, Night Owl Cookie Co. & Sweetness Bakeshop plus Cocktail Samples from Jim Beam and Tito’s Vodka. We’re not done yet….Downstairs will be sampling their great sandwiches along with my friends from Ojala Wine! This is all included with your ticket price. This year we will also have a Celebrity Panel (South Beach Wine & Food Festival Founder Lee Schrager, Miami New Times’ Laine Doss, Blue Collar’s Chef Danny Serfer, Que Riko con Kiko’s Kiko Suarez and Rebel House’s Chef Mike Saperstein) choosing a Judge’s Best Burger. The winner will compete in the 2017 South Beach Wine & Food Festival Burger Bash. We’ll have Live Music from Retro Sky performing all 80s songs and DJ Volksmusik will be spinning your favorite 80s tunes, plus we encourage you to dress up in your best 80’s clothes. Who knows….best 80s outfit might win something! 109 Burger Joint: Morning in Havana – Two 1.5 oz smashed Coffee rub seasoned Angus Beef Patties, Espresso & Brown Sugar-cured Bacon, Swiss Cheese, Cortadito Sauce, Duck fried Yuca & Croqueta de Congri on a Honey Garlic Glazed Bun. Burbowl: Juicy Smashed Burger – 100% Never Frozen Angus Beef, Melted Cheddar, Bacon, Grilled Onion and Mushrooms topped with our signature Garlic Chipotle Sauce, our Secret Sauce & our Cilantro Sauce on the side. Chefs on the Run: The Beastie Boys Burger – Angus 80/20 (Churrasco, Chuck, Brisket blend) topped with Herb de Provence Bacon, Provolone Cheese, Gorgonzola Bleu Cheese Mousse, & Ghost Chili-Habanero Butter. Crackers Casual Dining: Southern Hospitality – Signature Burger Patty topped with Spicy BBQ Mayo, deep fried Pickle Spears, Pulled Pork Cheese Crisp, Smoked Gouda, & Sweet Potato Frizzles. Doce Provisions: Doce Burger – Short Rib Blend Burger Patty topped with Queso Frito, Truffle Aioli, Pickles, Tomato, & Frisee. layer of Cream Cheese torched litely, layer of Burger Meat, layer of Jalapeño Jack Cheese torched & wrapped with Bacon. Gilbert’s 17th Street Grill: The Mofongo – Certified Angus Beef Stuffed with Mofongo and topped with Swiss Cheese & Homemade Sofrito. Hate Mondays Tavern: Warehouse Burger – Sirloin/Brisket/Smoked Rib Patty topped with Pesto blend with dry Slaw, Maple Bacon, Gouda Cheese, & a little Homemade BBQ sweetness. Jersey Dawg: Classic Slider – Ground Beef cooked on a bed of Steamed Onions, topped with American Cheese & served on a Martin’s Potato Roll. Jr’s Gourmet Burgers: It’s a Wrap – Burger Patty, Fried Egg, Cheddar & Swiss Cheeses between 2 slices of Bread, all wrapped up in Bacon. Latin House: The Steamed Champ – Butter Steamed Beef, Five Cheese Fondue, Candied Bacon, Butter Lettuce, Heirloom Tomatoes & Roasted Aioli on a Brioche Bun. The Local: “The Death of Disco” a.k.a. “The Ronald Reagan” – Slider topped with a House-made Ham Croqueta smothered in House-made American Cheez Whiz & Bacon Gravy. MEAT: Dr Jelly Finger – Burger topped with Bacon, Bananas, an Onion Ring, Jack Cheese & Blueberry Chipotle Jam. Norman Brothers: The B&B Burger – A 50% Wagyu Beef & 50% Applewood Smoked Bacon Burger Patty topped with Avocado, Tomato, Red Leaf Lettuce, Pepper Jack Cheese, House-made Chipotle Aioli, & even more Bacon on a Toasted Bun. Orange Bear Restaurant: Double Bacon Cheddar Bourbon Burger – 75/25 Chuck/Short Rib/Brisket Burger Patty topped with Roasted Garlic Aioli, Habanero Bacon Jam, Sautéed Bourbon Onions, Crispy Bacon, & Bourbon Sauce on a Butter Toasted Roll. Pincho Factory: The Backyard Burger – Short Rib/Brisket/Chuck Patty topped with American Cheese, Caramelized Onions, Papitas & Pink sauce on a Brioche Slider Bun. Shake Shack: ShackBurger – 100% All-Natural Angus Beef Cheeseburger topped with Lettuce, Tomato, & ShackSauce. Tucker Duke’s Lunchbox: Ari 2.0 – Pastrami seasoned Burger with House-made Kimchi, Bacon & Honey Crisp Apple Chutney & Salted Caramel Honey Yogurt. Wholesome Rollers Food Truck: The Wisconsin Butter Burger – Cheddar Cheese, Bacon, Bacon-fat Caramelized Onions, & Chuck’s Jalapeño Ketchup on a Pretzilla Pretzel Bun. Woody’s Burgers: Tokyo Burger – Teriyaki Beef (Sirloin/Chuck/Brisket) Patty topped with Caramelized Bacon & Onions, Wasabi Mayo & Pickled Ginger. General Admission Tickets which will be $45 at the door are now $35 for a limited time only and include Unlimited samples from all 20 of the Hamburger House Party Competitors plus Desserts (HipPOPs, Night Owl Cookie Co. & Sweetness BakeShop), Cocktail Samples from Jim Beam & Tito’s Vodka, Soft Drinks & Water from Pepsi & Aquafina. Get your Hamburger House Party Tickets!